. : Peter Tracy - LifeLooselyBased.com Redesign 2.0 :. 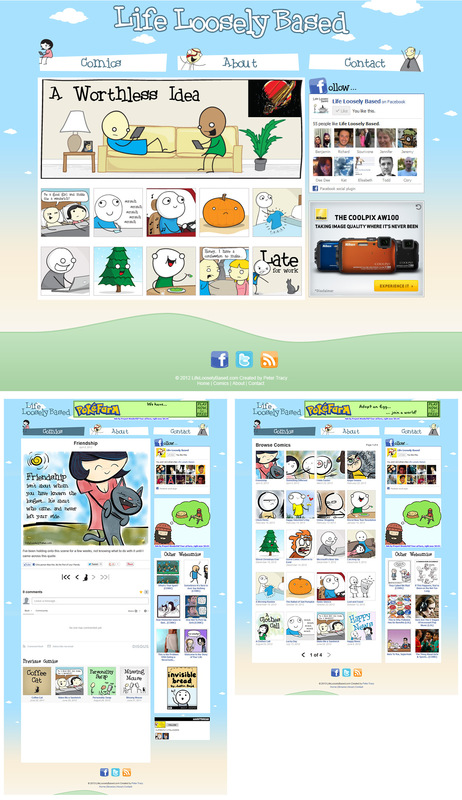 Brand identity, art direction and website design/development aimed at refreshing the presence of on online comic I run. - Moved away from the conventional webcomic template of showing the latest comic as the homepage and be able to feature more comics at once. - Explore link sharing, cross promotoing with other webcomic services and add social networking options. - Offer a better mechanism for browsing archived comics than the standard webcomic tempaltes allow.